Sweet or salty, blonde or brunette, parkland or links – you get the picture. Enjoy it or not – humans really do live for contrast. To me it’s what takes our lives from doldrums of black and white to crisp, high definition color. If it wouldn’t be for the occasional terrible meal (never yours of course, honey) the great ones wouldn’t be nearly as enjoyable. The same can be said when discussing cars, architecture, movies, weather, hotels, vacations – virtually every area of life. The bad is critically important to enjoying the good or great. And whether you know it or not, it’s one of the main reasons you play golf – the wide spectrum of emotions this game evokes from EVERYONE that scribbles their name on a scorecard are a testimony to this truth of life. This brings us to a place where you can’t possibly find more stark contrasts in topography, color, temperatures, textures and the associated emotional highs and lows – Wolf Creek Golf Club in Mesquite Nevada. Early in 2015, I was invited to join a group of 12 guys heading out to golf Mesquite the first week in November which included two rounds at the iconic course I’d only heard about from friends and read about in magazines. The first time Wolf Creek entered by mind was from a couple of golf buddies that were frankly pretty dull (insurance guys… makes me yawn just typing that). That is, except when they started describing their favorite place in the country to play. Again, another contrast, boring insurance guys – who on a dime – turned into a couple of rabid Wolf Creek groupies at the very thought of their past experience. You’d be hard pressed to find someone who understands the power of Wolf Creek more than Darren Stanek, who serves as PGA Professional and General Manager. I recently had the opportunity to interview Darren and we touched upon a number subjects regarding 2002’s “Best New Golf Course in America” by Golf Digest. 1)Had I just arrived at Wolf Creek on my first visit and met you walking in what would have been your “Be sure to do this” talking points? Make no mistake the golf course is the star, so I would say enjoy your day and you can never take too many photos. The second thing I would say is get an item in the golf shop with the logo. Wolf Creek is one of those logos that is recognized worldwide it’s hard to make the trip to Wolf Creek without going home with a memento from the golf shop. You will be the envy of your friends. 2)I played twice on my visit to Mesquite last November – What’s the most number of consecutive rounds (during one trip) you’re aware a guest has played? The great thing about Mesquite is we have several world-class facilities and because we are on the outskirts of Las Vegas we provide great golf at affordable rates. We have three of the top 10 courses in the state of Nevada that we can book as part of a Wolf Creek Vacations golf package. A testimonial to Wolf Creek and Mesquite is that we have had groups return here since the course opened in 2000 – 16 years. The most consecutive days a group has played Wolf Creek that I am aware of is five days. They were a little worn out but left with huge smiles on their faces. 3)What is the ratio of players from the Mesquite area vs. out-of-towner’s that play Wolf Creek? Most of our play comes from outside Mesquite. Last year guests came from 47 states and 20 different countries. 4)How many times would you estimate an average person would have to play Wolf Creek to be able to focus on golf and not the aesthetics of Wolf Creek? I am a PGA Professional and have played top facilities all over the United States. After two years I am still in awe of the aesthetics of the golf course. The conditioning and playability of the course is fantastic, but the views are second to none. 5)I heard about Wolf Creek sitting with a friend after playing Wisconsin’s only Nicklaus designed course. Although he just finished playing a Top 100 venue, he lit up like a child complete with wide grin and bright eyes while trying to describe his favorite course in America. With that kind of reputation is it hard to remain humble when telling people where you work? Remaining humble is easy for us. The staff that works here is humble by nature and very proud of the golf course and the service they provide. We realize we have something special here and that each guest has lofty expectations when they walk on property. When we start to think we have everything perfect is when complacency sets in and we cease to live up to our press clippings. I honestly believe when someone asks anyone one of the staff where we work that prideful grin will appear on our face as we say Wolf Creek. The staff at great courses enjoy where they work. The staff at exceptional courses love where they work. We love where we work. 6)Can you tell me your favorite hole on the front nine and same on the back nine? And why you’d pick those? It really is hard to pick one hole that is a favorite. Each hole is unique and based on some of the different shots that are hit over the course of the day your favorite hole can certainly change. I like the elevated tee shots from the par-5 5th hole and the shot into the par-3 8th. On the back nine I really enjoy numbers 17 and 18. Honestly, I could name each of the 18 holes depending on the day. 7)Please give me three tips on playing Wolf Creek properly? First of all, make sure you get a yardage book or use the new GPS ap. Secondly, there is no need to hit driver on every hole. And finally, play the proper tees. 8)What’s one less obvious thing I need to notice the next time I come out to Wolf Creek (Oh yes, there has to be a next time!)? I would say don’t forget to stop and smell the roses. This golf course is like nothing the golfers have ever seen, and each time it is played something else unique to Wolf Creek is noticed. Sometimes you don’t remember how extreme the elevation drops are or a waterfall you didn’t notice, or simply some of the native wildlife there is always something. So the next time you’re feeling bored and a little blue that your stuck at your local, flat, non-descript golf course playing with a couple of paunchy insurance guys – remember it’s those humdrum occasions that are key to fueling the awe and wonder you’ll surely experience when stepping on to the first tee high above the lush green valley floor of Wolf Creek Golf Club. 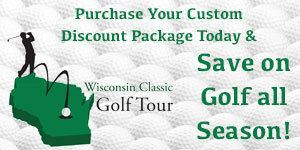 To experience Wolf Creek on the World Wide Web visit www.golfwolfcreek.com.